Built in 1814 & listed on the National Register in September 1975. Located on the Quaker Ridge Road. The Friends Meetinghouse was built by Quakers who had come from Windham & had settled on Quaker Ridge. 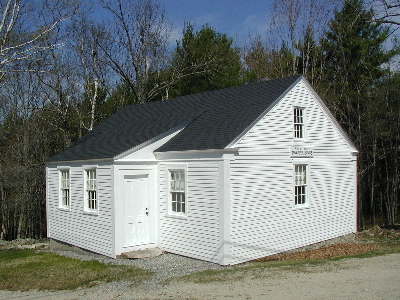 Meetings were held at the home of Daniel Cook, Jr., before the meetinghouse was constructed in 1814. The building was regularly used for Quaker meetings until the 1920s. It is still in its original location on Quaker Ridge.